Things were hectic at the Leica booth at PhotoPlus Expo 2015 at the Javits Center in New York City. There were counters for all of Leica’s digital and film systems, including the M models, the Q, T and S, as well as the German camera maker’s latest – the Leica SL, and all of them were busy. I waited patiently for some counter space to clear. I wanted to handle the SL, and I had questions about this new system. This is a full-frame camera with a 24-MP CMOS sensor. 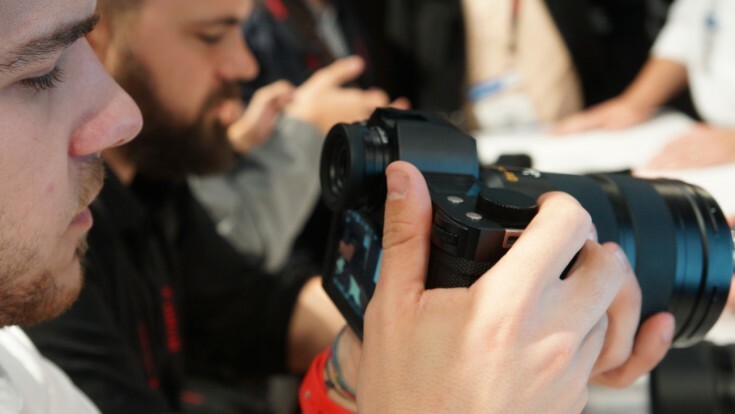 It has great specs: two SD card slots, USB 3.0 connector, 11 frames per second and premium Leica lenses – albeit just three announced and only one available. The SL body is machined from two blocks of aluminum that are bonded together. The camera and its lenses are made in Germany, which likely contributes to the high price of the system. 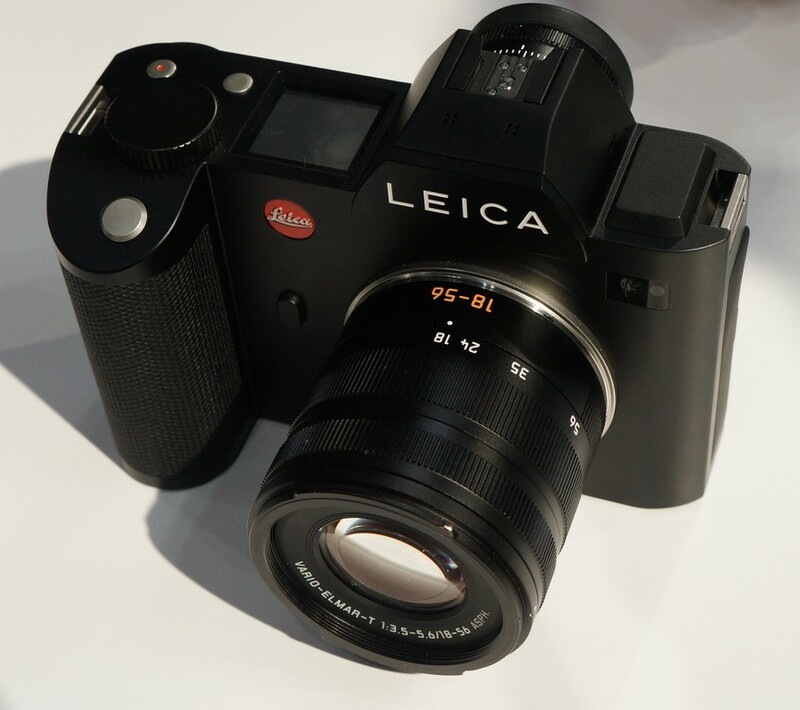 The camera borrows features and ideas from the Leica S. Informally, it’s called the Leica S “Little” – SL. I thought that was amusing. Where the Leica S has a shape that is rounded and looks more like a very large bridge camera, the SL has chiseled edges. It looks purposeful – not warm and fuzzy. The body is big. No doubt about it. This is something that Leica has heard and read from many who have seen or held the camera. 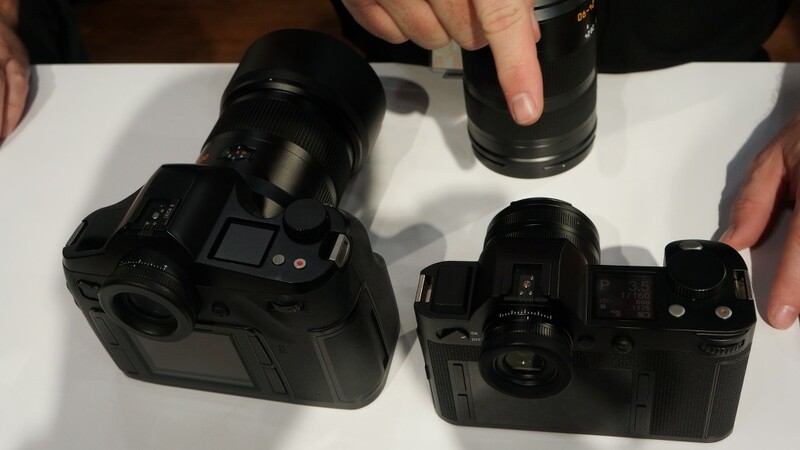 Leica’s take on it is this: Its target market is the working pro, who currently is using a full-size Nikon or Canon DSLR. Compared with the T and similar mirrorless cameras, the SL seems massive. But when compared with a full-frame Nikon or Canon with battery grip, it is similar in size and weight. What is the difference is our expectation of a mirrorless digital camera. Between the Micro Four-Thirds models from Olympus and Panasonic, Fuji’s X-series, Samsung’s NX system and Sony’s Alpha cameras, we have come to think of mirrorless cameras as small and light. After all, that’s one of the primary advantages. But when the target is the working pro, the manufacture can approach the product differently. Leica also sees studio shooters as potential buyers. It would include those who want more than a Canon or Nikon but aren’t ready to make the jump to a Phase One or Hasselblad, where the price point can reach into the tens of thousands of dollars. Add to that group those who still desire a high-quality German digital camera and lenses. Some studio shooters will shoot tethered, while others will shoot from a tripod. Regardless, the size of the camera isn’t really an issue for the working pro. The body is weather sealed. That includes all of the buttons, dials and switches. That doesn’t mean water resistant, but it does mean that a photographer can continue shooting in poor weather and not worry about the camera failing because water has seeped into the body and fouled the electronics. I asked about the lack of markings. A Leica rep pointed out that this began with the S. The reason, he said, is that most of the buttons and dials are customizable. This design approach also hews to the minimalist style that is championed in Europe. There has always been a European, Japanese and American approach to camera design and function. It’s not that one is better than the other. But there are differences. As I've written before, it does require you to learn and remember the location and function that you assign to the buttons. What's more, some buttons have slightly different behaviors depending whether you simply push them or push and hold. When a T lens is attached, the camera recognizes this and automatically adjusts the viewfinder view. It does not mask off the viewfinder and display a smaller image. Rather, it enlarges the image, which is very nice. You always view a full-size image, and you don’t get that claustrophobic feeling of peering through a tunnel , which used to happen with some cropped-sensor DSLRs. In the few moments that I had with the camera, I couldn’t figure out how to set it to continuous mode. I would have liked to have tried the claimed 11 frames per second and check the viewfinder response. The SL had a very good feel. It feels extremely solid and well made, as you would expect of a Leica. It feels like a very high quality camera. However, it still helps if you have man-sized hands, because this is a large camera. I think smaller hands might have trouble reaching some of the dials. With the battery grip attached, it’s a handful. But the same can be said of the Nikon D4S or the Canon 1DS models with their extra battery grips. The 24-90mm Vario-Elmarit has a big name that is befitting of a big lens. The barrel extends while zooming, but no external parts move when focusing. It focuses smoothly, although you can feel helicals mesh while zooming. If you were to use this for movies, you might opt for a different lens. 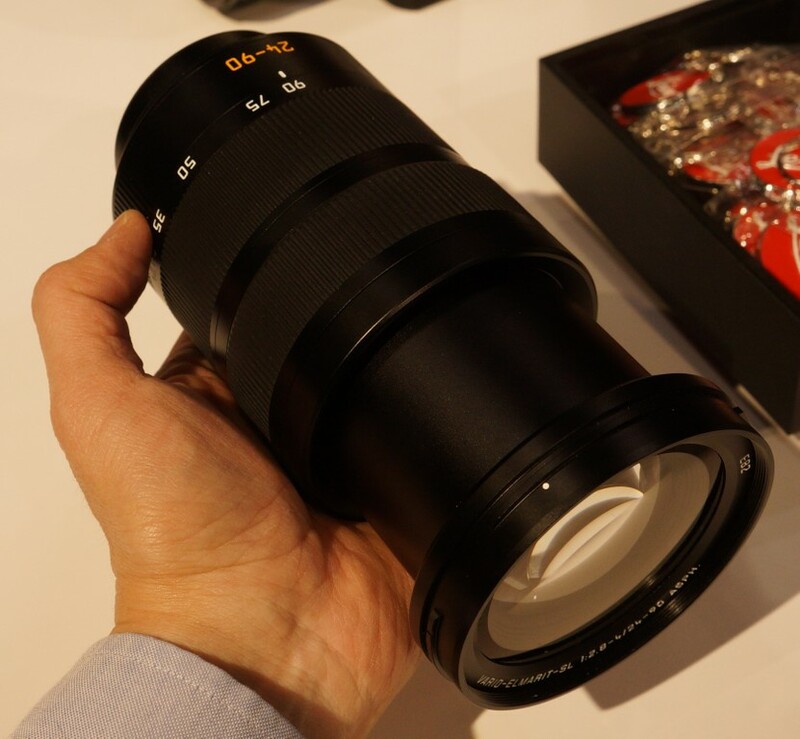 It can use Leica’s cinema lenses with the proper adapter. In fact, with the proper adapter, you can use a wide range of lenses: T, S and cinematic lenses, as well as the classic M and presumably any screw-mount lens with a proper adapter. Leica has announced three lenses, and only the 24-90mm zoom is available now. A 90-280mm Vario-Elmarit and a 50mm Summilux will follow in 2014. The Leica rep couldn’t say what lenses the company plans in the future. I would surmise that much of it would have to do with whether the camera sells. Keep in mind that a company doesn’t release a product on a whim. 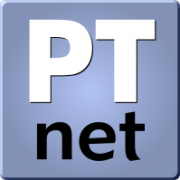 It creates a product based on perceived need and projections. I have no doubt that the development of future lenses will occur once sales targets have been met. After all, without camera sales, there is no reason to create more lenses. I wouldn't expect Canon and Nikon shooters will dump their systems and flock to Leica. However, I do see an opportunity for Leica to build a market among the pros who want a special camera for certain shoots, as well as those who might already own other Leica cameras. Photographers sometimes forget that it's perfectly acceptable to own more than one camera system. Other possible buyers might include studio photographers who want an alternative to a DSLR or one of the very costly digital medium format systems. With a price of US$12,000+ for the body and 24-90mm Vario-Elmarit, it's not going to be an impulse buy. But for those who can afford it, it should be one heck of a fun ride. With a T-system lens mounted, the SL looks smaller than it actually is.